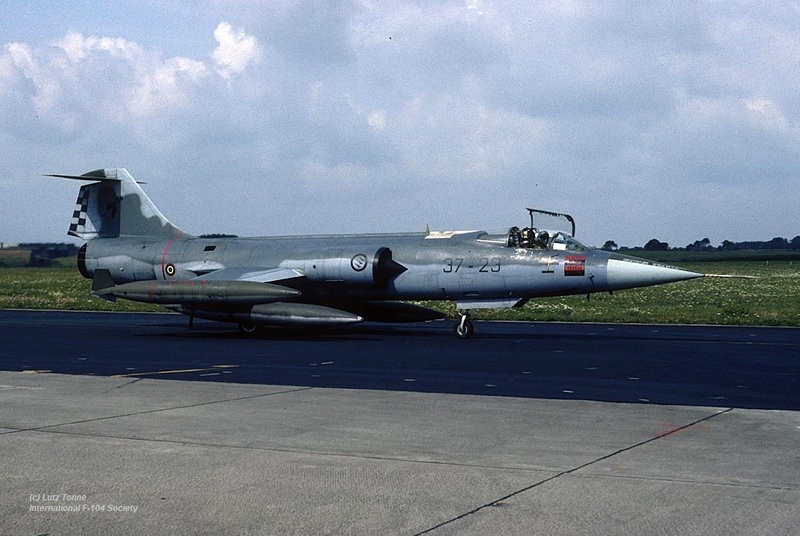 This year the Danish Air Force squadron duo 727/730 Eskadrille , flying the F-16A and based at Skrydstrup AB, exchanged with the Italian Air Force 10 Gruppo based at Grazzanise, flying the F-104S/ASA. 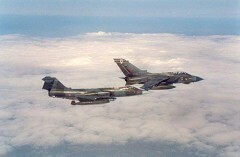 It was a two way squadron exchange. 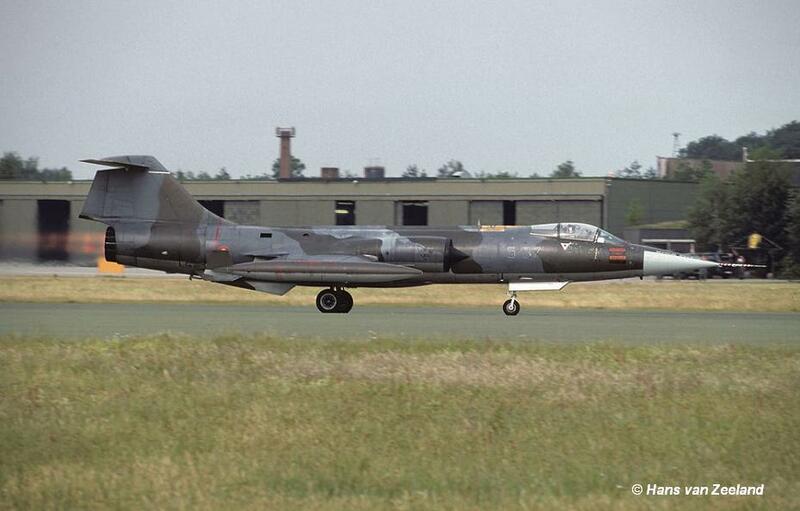 Sadly the Italian Starfighters at Skrydstrup have not yet been identified. 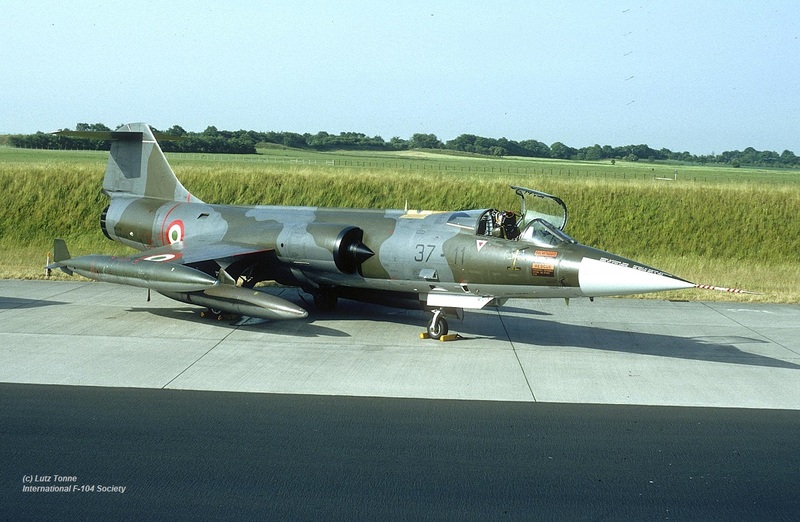 This month the German Air Force JG72, based at Hopsten and flying the F-4F Phantom exchanged with the Italian Air Force 23 Gruppo based at Rimini, flying the F-104S/ASA. It was a two-way squadron exchange. 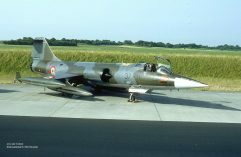 Aircraft seen in Hopsten were MM6722/5-45, MM6735/5-46, MM6776/5-37 and MM6873/5-35. 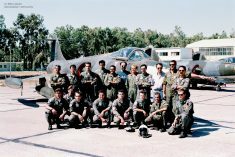 Transport was flown by C-130H MM61999/46-13. 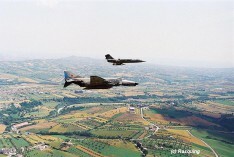 Beneath some photos, First photo was taken over Eastern Italy during the squadron exchange showing a JG72 Phantom and a 23 Gruppo Starfighter. 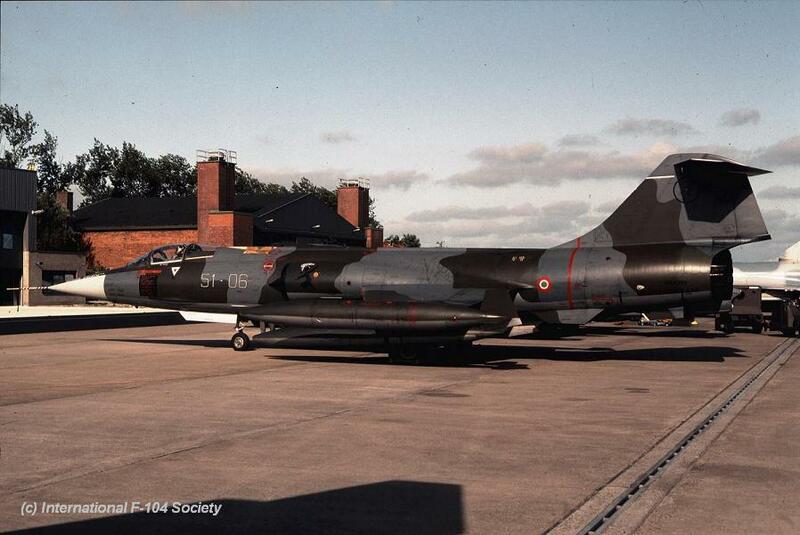 The other photos show MM6776 code 5-37 and MM6722 code 5-45 at Hopsten AB, taken by Hans van Zeeland. 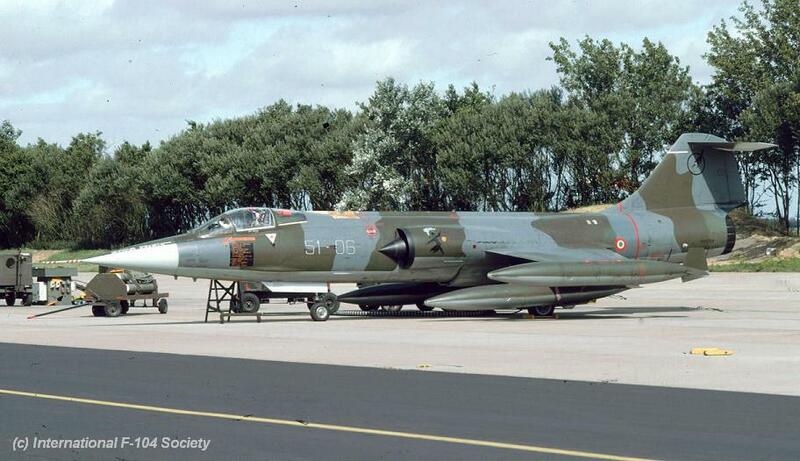 This period the Royal Air Force 13 Squadron, based at Honington and flying the Tornado GR.1A, exchanged with the Italian Air Force 28 Gruppo based at Villafranca, flying the F-104G. 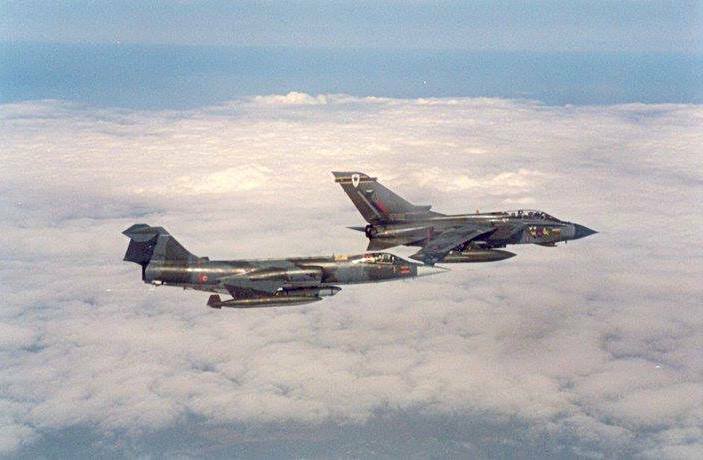 It was a 2 way squadron exchange. Seen in the UK were MM6518/3-37, MM6524/3-46, MM6542/3-40 and MM6551/3-51. 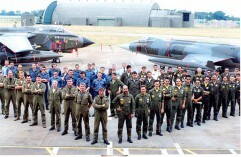 The Italians flew via Pferdsfeld (22 June) and back home via Buchel AB (1 July). 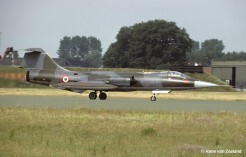 Two aircraft (3-37 and 3-46) stayed the night at Buchel on their way back due to some leaking problem with aircraft 3-46. 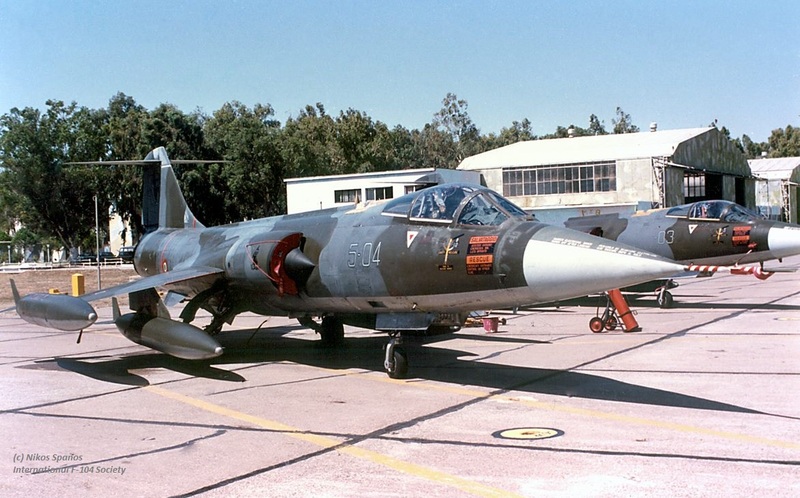 One of the pilots was Bob Sardo. This month the German Navy MFG1 (2nd Staffel), flying the Tornado IDS and based at Schleswig Jagel AB, exchanged with the Italian Air Force 18 Gruppo based at Trapani-Birgi, flying the F-104S/ASA. 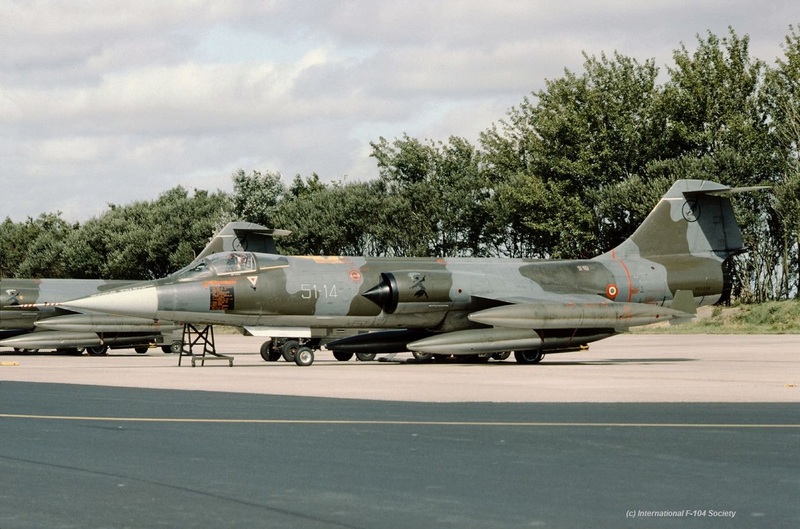 It was a one-way exchange where only the F-104s flew to Germany. 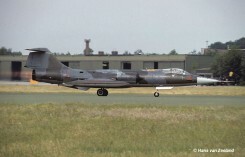 The Starfighters seen at Schleswig were MM6910/37-12, MM6762/37-04, MM6909/37-23 wearing the experimental light/dark grey camo, and MM6782 without number. On 1st June 1992 two Starfighters visited Schleswig for a pre-visit being MM6716/37-11 and MM6762/37-04. 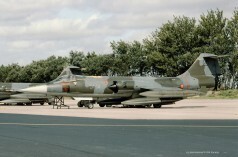 Beneath some great photos taken at Schleswig Jagel by Lutz Tonne showing aircraft MM6762/37-04 and MM6716/37-11 during their pre-visit on 1 June 1992 and the other two showing aircraft MM6909/37-23 and the line-up on the flight line, showing the unmarked MM6782, both taken on 12 August 1992. This month the Hellenic Air Force 336 Mira, flying the F-104G Starfighter and based at Araxos AB, exchanged with the Italian Air Force 102 Gruppo based at Rimini, flying the F-104S/ASA. It was a 2 way squadron exchange. Participating aircraft in Italy were F-104G 7151 (Olympus colorscheme), RF-104G 7206/RF-206, RF-104G 6642/FG-6642 and finally TF-104G 5906/TF-906. 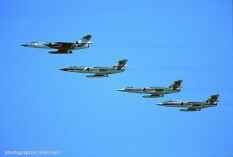 Photo beneath show the four Greek aircraft over Rimini Air Base. 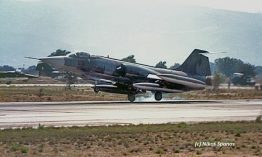 Aircraft seen at Araxos included MM6759 code 5-03, MM6788 code 5-01 and MM6922 code 5-04, as can be seen on the photos taken at Araxos during the event by Nikos Spanos. 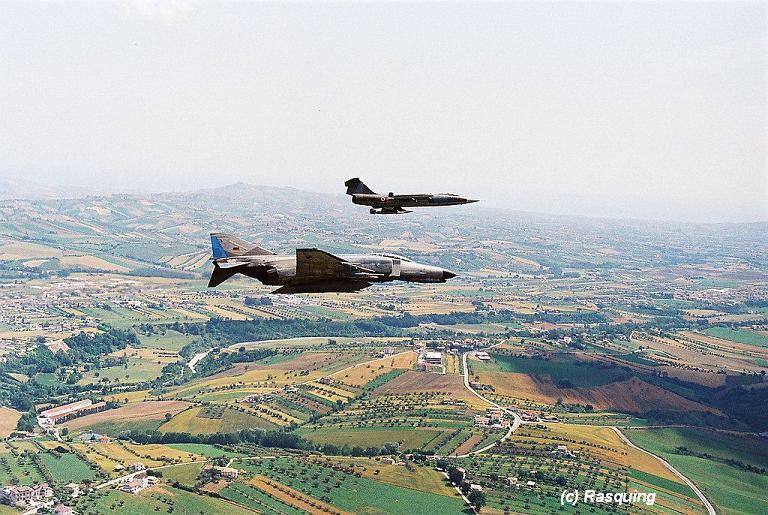 This month the Spanish Air Force 462 Escuadron flying the Mirage F1EE, exchanged with the Italian Air Force 9 Gruppo based at Grosseto AB, flying the F-104S/ASA. 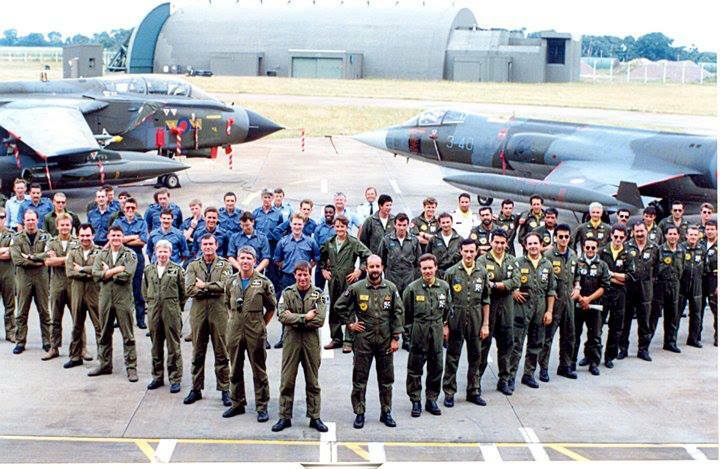 It was a 1 way squadron exchange. Four Starfighters flew from Grosseto to Gando (Gran Canaria). They routed via Moron to Gando and very likely they flew back via Moron as well on their way to Grosseto on the 16th. 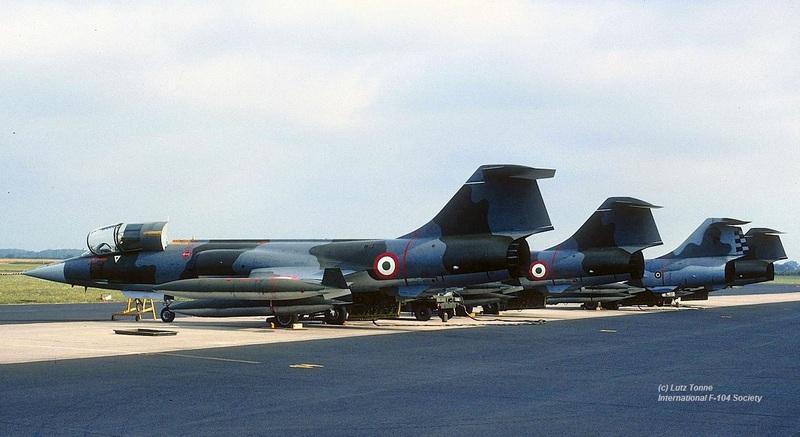 Aircraft included F-104S/ASA MM6932/4-4. 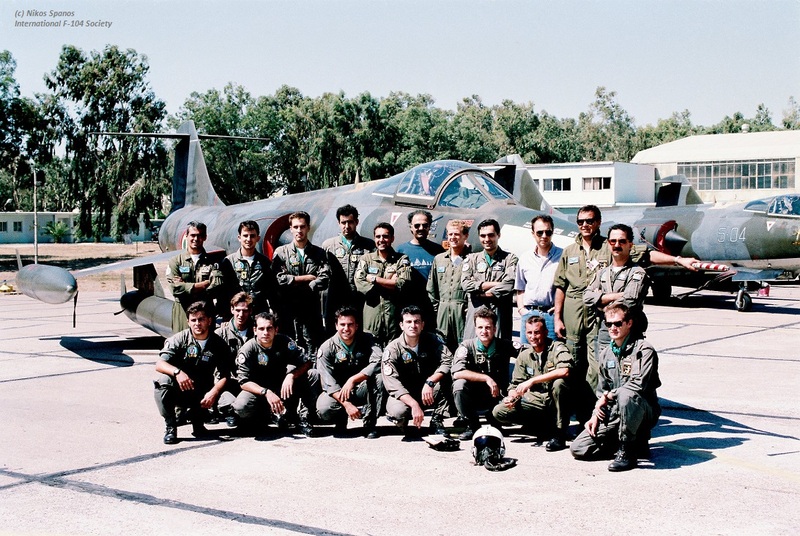 Italian pilots involved: Enzo Vecciarelli (CO 9 Gruppo), Alberto Rosso, Giorgio Riolo, Ettore Di Blasio, Massimo Rossi and Marco Germani. 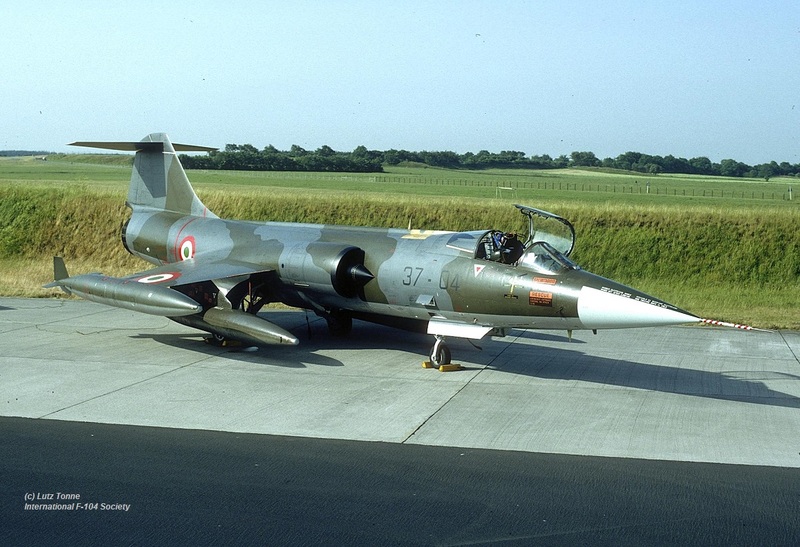 Somewhere this year the Turkish Air Force 191 Filo, flying the F-104 Starfighter at Balikesir, exchanged with the Italian Air Force 12 Gruppo (9 Stormo) based at Gioia del Colle, flying the F-104S/ASA. It is not known it this was a one-way or two-way exchange. 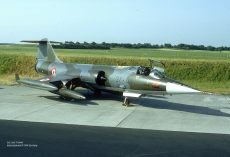 At least the Turkish Starfighters were seen at Gioia including TF-104G 5960 code 9-960.